The following terms and conditions apply to all usage, whether general or making a purchase, of this website. All information on discountoptical.com.au is for public usage. When communicating with us, please ensure you don’t send any information which is inappropriate for the public domain. By providing information on our website, we are not forming any legal relationship with Discount Optical. While we are committed to maintaining accuracy throughout our site, there is a possibility there will be errors or omissions in our content from time to time. We do not accept liability for any errors or omissions on our website. We encourage all our customers to contact us should they require more information on our products or services. However, please note that any customer emails received does not constitute any form of customer/corporate relationship. By using or purchasing from discountoptical.com.au, the user is agreeing to the terms and conditions of this website. We reserve the right to make changes to these terms and conditions without notice. As mentioned under Legal Disclaimer, we are committed to maintaining accuracy in all information presented on our website. If we identify an error or omission, we will endeavor to make a correction as soon as possible and without notice. Information could include pricing or product availability. To order glasses online with Discount Optical, you must be 18 or over and you must not be partially blind or registered blind. You must provide Discount Optical with a current prescription received from a registered Optometrist. This prescription can’t be more than 2 years old. We will fulfill your order from the prescription you provide us and your glasses will contain lenses that match the specifications on this prescription. If you can’t read or understand your prescription, please consult your Optometrist to clarify the details, or alternatively, contact us. If you don’t specify your exact Pupillary Distance (PD), we will use the average industry PD, which is 65mm for single vision distance lenses and 62mm for single vision reading lenses. To ensure the best results, always ask your Optometrist to include details of your PD and provide us with those details. When purchasing a product from this website, you will need to supply personal details such as your name, email address and payment details. We reserve the right to accept or reject your order within 7 days of receiving it and we are under no obligation to provide reasons for rejecting your order. If a customer order is rejected for any reason, there is no further liability on the part of the customer or Discount Optical. If you haven’t heard from us within 7 days of submitting your order, your offer is deemed to be rejected. Orders cannot be cancelled once submitted. Full payment must be received for your order to be processed. While we try to ensure all products on our website are available, we provide no undertaking of the availability of products at any time. We will undertake to deliver prescription glasses to metropolitan areas within 7 working days and to regional areas within 10 working days from the acceptance of an order. We will undertake to deliver reading glasses to metropolitan areas within 5 working days and regional areas within 7 working days. Please note, more complex prescriptions such as those requiring Grind lenses may take longer than 7 working days to be delivered. We will not process an order until full payment has been received and title of ownership of the goods is not transferred to the customer until full payment has been received. Once you take delivery of the glasses, all risk of loss or damage to the goods is your responsibility. If you don’t receive your goods within 28 days of submitting your order, please notify us in writing within 40 days of submitting the order. If we are not notified of the non delivery of goods within 40 days, no claim will be considered. 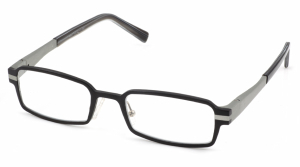 If there has been a problem delivering the glasses to you, or you do not accept delivery, for any reason other than that due to an error on our part, we may charge additional fees to cover the cost of re-delivering your glasses. 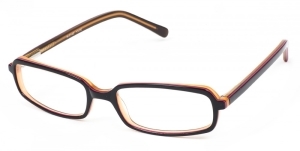 Immediately inspect the glasses when they arrive for factory defects or damage and to check they are the correct glasses ordered. If there is a problem with the glasses such as that indicated here, please inform us in writing within 14 business days to accepting delivery of the glasses. If we don’t hear from you within 14 business days, we accept no liability for loss or damage. All prices listed on this website are inclusive of GST. Payment for goods on this website is limited to those outlined in the payment and security section. While we take the utmost care to ensure all products and prices on our website are correct at time of publication, there may be at times an incorrect price or the wrong information on a product. We reserve the right to cancel an order up until the point your glasses have been delivered. If your credit card has been charged and we cancel your order, we will immediately issue you with a credit for that amount on your credit card. Reasons we may have to cancel an order or not accept an order may include, but are not exclusive to, an insufficiency of stock or the incorrect price being listed. All of our deliveries are handled by Australia Post however, and these deliveries are therefore managed by Australia Post’s delivery policies. We are not responsible for delays in delivery that are beyond our control and we reserve the right to delay deliveries or cancel product orders if required. From time to time, we may feature links to other websites. Please note that we are not responsible, nor do we have any liability, for the information and materials and the use of this information, on these external websites. Likewise, we don’t endorse, recommend or approve any of the owners or operators of these websites, or any of the text, graphics or other materials contained therein, unless otherwise stipulated. All information on discountoptical.com.au, whether this is text, images or graphics, is the property of discountoptical.com.au. This material may not be copied, reproduced, posted, or republished in any way. The material on this website is prohibited to be used anywhere else, whether in print or for online reproduction. Users access this website at their own risk. We are committed to maintaining the accuracy of all information on this website, but can’t provide a 100% guarantee that inaccuracies won’t occur. We will endeavor to correct any errors as soon as we identify them and will notify all affected customers. The agreement outlined here between the customer and discountoptical.com.au supersedes all previous understandings, arrangements and agreements. We are not liable for incomplete, lost, stolen or unreadable mail, email, or phone messages or incomplete, lost, stolen or unreadable transmissions; inability to access an online connection; malfunctioning hardware, software or any other technical difficulty which may result in disrupted communications. Owners and employees of discountoptical.com.au are not responsible or liable for any damages resulting from use of our website or any website linked on our site. This applies whether these damages could have been predicted, and whether we have been given advice over possible damages, whether direct, indirect, special, consequential or punitive. We reserve the right to terminate access to www.discountoptical.com.au. The above terms and conditions, including the disclaimers, will still apply however. By agreeing to these terms and conditions, you are agreeing to submit to the jurisdiction of the laws in force in Queensland and the jurisdiction of the courts in Queensland.